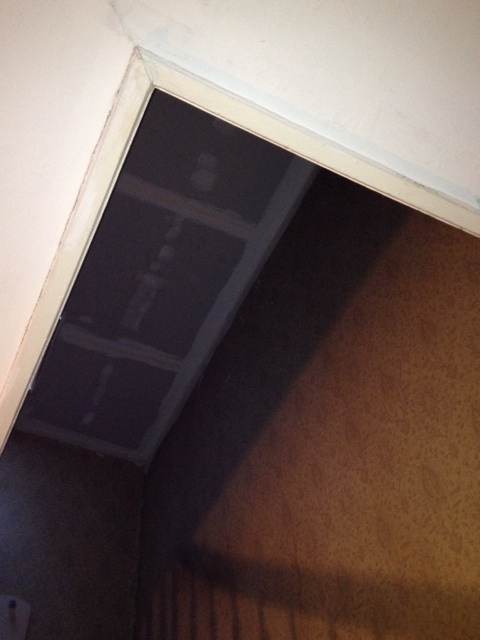 The tin ceiling is down and some sturdy drywall is up. What is the difference between sheetrock and drywall? I have no idea and I use the words interchangeably. I wasn’t home when the tin came down, but the guy who did the work said the stuff had the consistency of wet cardboard (while not being wet) and it basically shredded in his hands. It was also covered in black gunk — mold? soot? Who knows. So it was not salvageable for future installation in other rooms. Oh well. 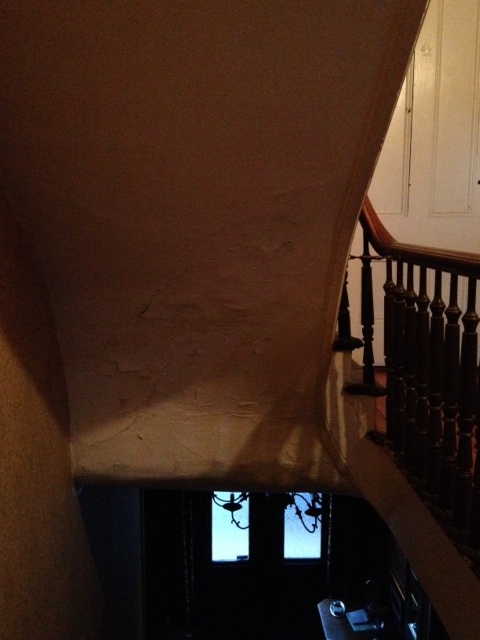 The mudding up of the new ceiling and sanding down of the atrocious stairwell ceilings begins tomorrow. 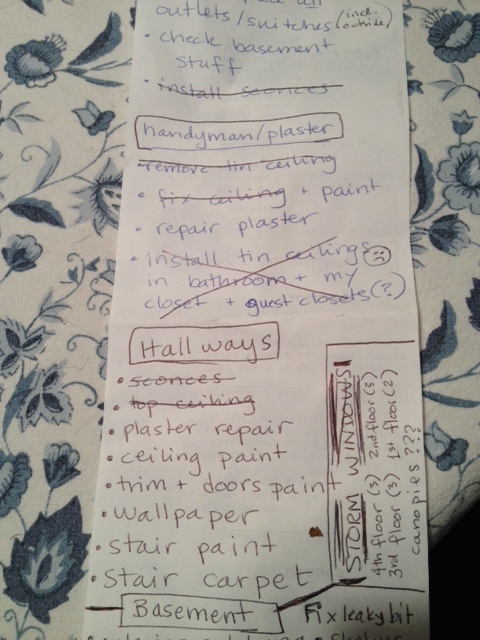 I love making lists — here’s my hallway repair list. Once the ceilings are all fancified, I’m going to find it very difficult to look at the dreadful walls and wait wait wait to be able to afford to fix them up. Oh money, I wish there was more of you.